Why having the RSI in a sub window, if we can have it in the main window with much more insight? RSI ANALYTICS is a market timing technical indicator that works with the same philosophy as the traditional RSI (Relative Strength Index), but instead of being drawn in a sub window, it is drawn in the same window as the asset we working on. 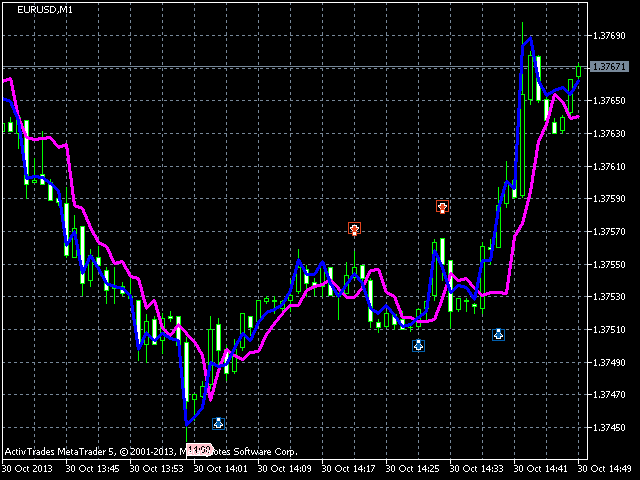 This indicator is built using a given probability distribution that takes the traditional RSI as a parameter. The indicator is built with two lines: the blue one is called RSI Analytics buy and the magenta one, the RSI Analytics sell. When they cross, they give a signal for the beginning of a trend (or a continuation of a trend, when market is trending), and an overbought/oversold situation when market is ranging. 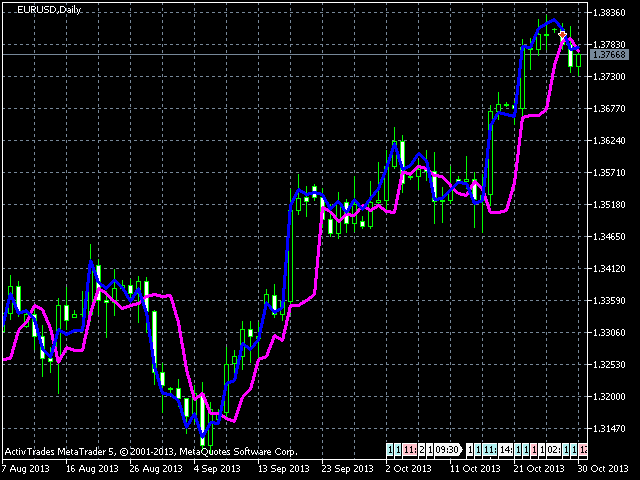 It is more favorable when market is volatile. It can be used for any time frame. When market is less volatile, longer time frame is advised. We use the number four as the optimal parameter. Thanks, I combine with zigzag the result is very good.